Remember Me release date was very anticipated for all Capcom's fans. Finally today this game has appeared in the shops of North America, and in Europe it will be released on Friday. While only one continent is able to play the game today, the other part of the world can enjoy the new live action Remember Me trailer that was released a few days ago. 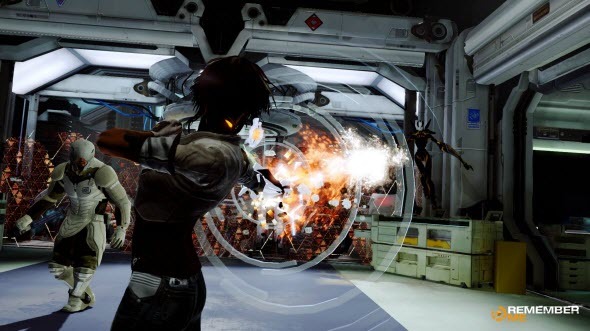 The video shows Nilin - the main game's character - and the terrible events she had to go through. Also in Remember Me trailer we find out the story of Neo-Paris and the powerful invention that has changed the face of the world. A few hours after Remember Me release the game got its first reviews and responses. The average mark is about 70. The critics mark out the unique story, the ability to work with memories and the perfectly created protagonist. Among the disadvantages there are poor fights and again the story that is not so good in the game, as it is presented in Remember Me trailer. And to get our own opinion, we will wait the European Remember Me release date. Are you waiting for this game too?